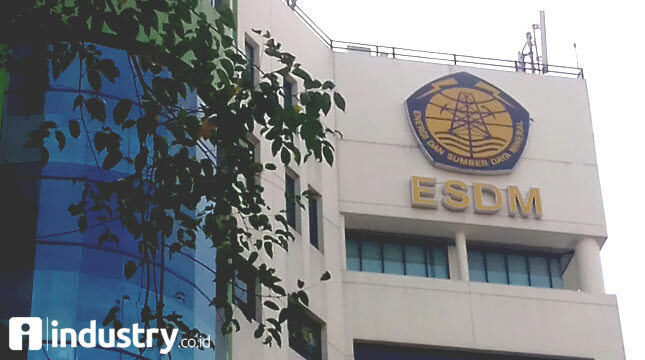 INDUSTRY.co.id - Jakarta - The Ministry of Energy and Mineral Resources (ESDM) has set the Reference Minerals Price (HMA) and Coal Reference Price (HBA) in February 2018 for 20 metallic minerals as set forth in EMR Ministerial Decree No. 407 K / 32 / MEM / 2018. According to information received by INDUSTRY.co.id on Wednesday (7/2/2018), the Ministerial Decree signed by the Minister of Energy and Mineral Resources Ignasius Jonan on February 5, 2018 was prepared to implement the provisions of article 6 of the Ministerial Regulation No. 44 of 2017 on Amendment to Candidate Numbers 7 of 2017 on the Procedure of Determining the Standard Price of Metals and Coal Minerals Sales. HMA is one of the variables in determining the mineral benchmark price (HPM) of metal based on the formula set forth in the Decree of ESDM No. 2946 K / 30 / MEM / 2017 concerning Formula For Determination of Metal Mineral Standard Price. In article 6 of Ministerial Regulation No. 44 of 2017, this HMA becomes one of the variables to determine HPM. Other metal HPM determination variables are metal mineral values, constants, corrective factor, treatment cost, refining charges, and payable metal. The quantity of HMA is set by the ESDM Minister each month and refers to the publication of the price of metallic minerals on the world index, among others by the London Metal Exchange, the London Bullion Market Association, Asian Metal and Indonesia Commodity and Derivatives Exchange (ICDX). The amount of HMA is determined by the Minister of EMR every month. Meanwhile, Formula HPM Metals can be reviewed periodically every six months or at any time if required. The HBA for February 2018 was set at USD 100.69 per ton, up $ 5.15 compared to January's HBA of 95.54. The rise in coal prices was triggered by high demand from China for the winter, as well as the delayed production and delivery of coal due to the weather in the country. Strict supervision and restriction of production from the Indonesian government is also enough to affect the world's coal supply in addition to demand from Japan and Korea are also increasing this winter. HBA is the price obtained from the average index of Indonesia Coal Index (ICI), Newcastle Export Index (NEX), Global coal Newcastle Index (GCNC), and Platt's 5900 in the previous month, with quality equal to 6322 kcal / kg GAR, total moisture 8%, total sulfur 0.8% and ash 15%. It is important to note that the Ministry of Energy and Mineral Resources is currently facilitating the formulation of a new coal price formula for domestic needs (DMO), which involves PT PLN and the domestic coal industry. With the new formula, it is expected that the electricity tariff will not change in the future, in order to maintain public purchasing power, inflation, and industrial competitiveness. The ESDM Ministry has previously confirmed that the electricity tariffs remain unchanged until end of March 2018.